Escaping a wet, wintry Melbourne night, music lovers gathered before the warmly lit stage of Elisabeth Murdoch Hall to enjoy an all too rare appearance from mighty Australian heldentenor Stuart Skelton. Accompanied by Richard Peirson on grand piano, Skelton performed an eclectic, meticulously curated program of stirring beauty. The pair of masterful musicians kept the audience breathlessly spellbound for a generous 120 minutes (including interval), bringing the largely unfamiliar music to vibrant life. “Cunning linguist” may not be a serious term, but it seems entirely apt in describing a singer who performs in five languages on the one evening. Over and above his sterling musicianship, Skelton proved extraordinarily adept with language, singing in English, German, French, Spanish and, most surprisingly, Icelandic. A masterful storyteller, these varied language proved not the slightest barrier to following the action; all the emotion, passion and tenderness are there in abundance in Skelton’s wonderful vocal expression. Well established as a Heldentenor, Skelton revealed all manner of gentle colours in his voice, working Elisabeth Murdoch Hall’s ambient acoustics to leave a ringing note reverberating around the room or to soften a pianissimo note until it was barely a breath. The songs allowed Skelton to demonstrate the rich warmth and effortless power of his middle and lower register to great effect. The performance began with three works of Grainger, and Peirson had prepared himself for Bold Stuart Skelton’s mighty percussive thump of the piano at the end of “Bold William Taylor.” Skelton very sweetly admonished the enthusiastic crowd for their spontaneous and generous applause at this point, stating that although the support is greatly appreciated, we would be there until midnight unless applause was held until after each bracket. Grainger’s “Hard Hearted Barb’ra (H)Ellen” was an early highlight of the evening. Much as Peirson’s accompaniment was generally of the surreptitiously supportive kind, this piece gave him an opportunity to shine, from the gently playful melody to the thundering church bells. Skelton spoke again to introduce the Icelandic works. Given a folder of the best Icelandic music by his then future father-in-law, Skelton decreed he would work on the language to reach performance standard, and tonight was the auspicious debut of the material. Skelton displayed his roguish sense of humour in telling the background to Kaldalón’s “Ave María,” a piece about a Lutheran parish that took up dancing on Christmas Eve and was subsumed into fiery hell. Not just for their rarity but also for their transcendent beauty, the Icelandic songs were arguably the highlight of the program. The first half concluded with some gorgeous French in Liszt’s settings of poems by Victor Hugo. After a second bow, Skelton cheekily motioned that we all should partake of a quick drink during the interval. The second half opened with Wagner’s Wesendonck Lieder, the composer’s settings of poems by his mistress Mathilde Wesendonck. “Im Treibhaus” (“In the Greenhouse”) came to a particularly lovely pianissimo finish. Wesendonck Lieder can be heard in full on Skelton’s brand new album Shining Knight. So moving was the final of Korngold’s Vier Abschiedslieder(Four Songs of Farewell), Gefasster Abschied (“Resigned Farewell”), that Skelton needed a moment to compose himself and wipe a tear from his eye. After giving his all, Skelton still had abundant vocal energy to spare, concluding the Turina’s Poema en forma de Canciones with a mighty burst of energy to sing “Las locas por amor” (“Mad for Love”). Whilst most in attendance were surely already ardent admirers of Skelton, they undoubtedly left with an even greater appreciation for his vocal dexterity, warm personality and exacting musicianship. Stuart Skelton with Richard Peirson played at Elisabeth Murdoch Hall, Melbourne Recital Centre on 3 August 2018 as part of the Great Performers Concert Series 2018. The program for Stuart Skelton with Richard Peirson can be read online. 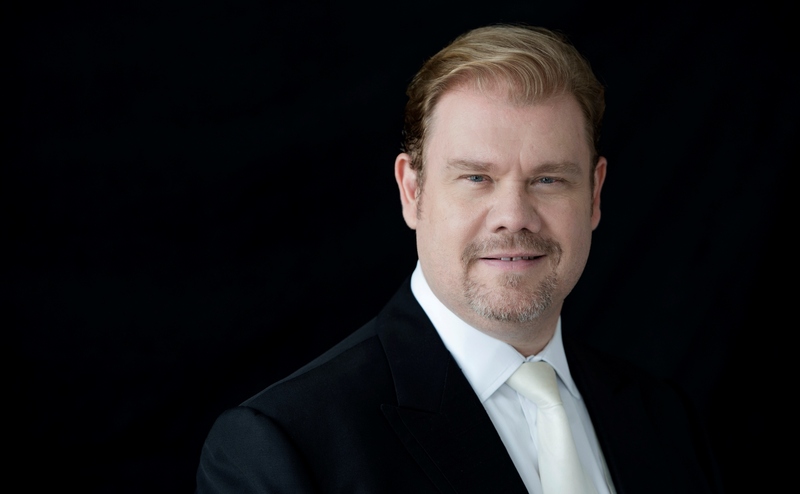 Watch for Man in Chair’s review of Stuart Skelton in Met Opera’s Otello in January 2019.